Jesus was the only person in history who did everything right-not only in saving the world but also in daily life. He brought significance into everything he did, and by following his example we can learn to live the same way. Jesus was the greatest leader and the most influential person ever. His manner and methods will show you how to accomplish every mission you pursue and how to succeed in ways that honor God. Jesus' life gives you a model for success with significance that never has been equaled. • How to break through barriers that block your success at work and prevent relational peace at home. • How to fuel growth in the most important areas of life by following Jesus' example in your decisions, actions, and priorities. • How to use adversity and opposition as springboards for even greater achievement. 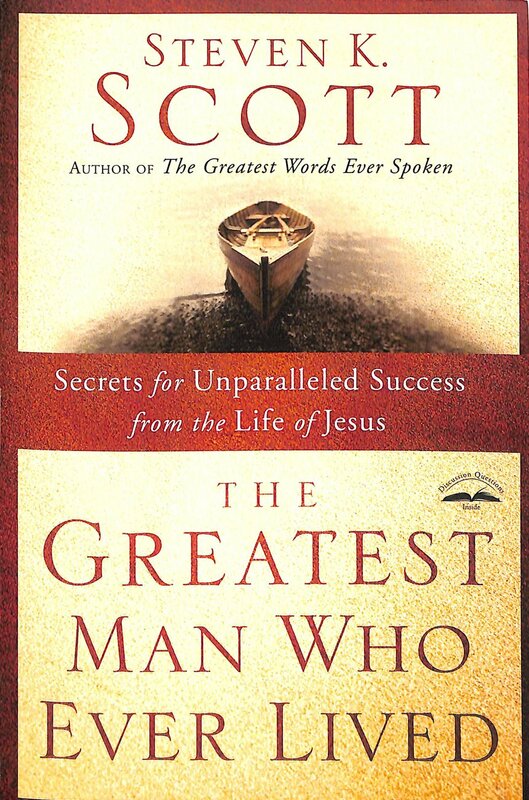 Let Steven K. Scott introduce you to the greatest Man who ever lived. No matter what your title or position, following the practices and principles Jesus lived by will elevate your performance to unparalleled heights. The Greatest Man Who Ever Lived by Steven K Scott was published by Waterbrook Multnomah in February 2012 and is our 49357th best seller. The ISBN for The Greatest Man Who Ever Lived is 9781400074655. Be the first to review The Greatest Man Who Ever Lived! Got a question? No problem! Just click here to ask us about The Greatest Man Who Ever Lived.